McFarland Youth Softball is committed to skill development, fostering a competitive and team spirit, and above all having fun. Our girls go through a transformation process throughout the season that leads to a much different team walking off the field after their last game, then walked on to the field for their first. We understand the importance to have as regular schedule as possible, and we certainly do our best to accommodate that. Having said that, with the many variables that we need to consider (field availability, other teams schedules, etc), practice schedules will fluctuate from team to team and games will take place at different nights throughout the week. Your individual teams schedule will be provided before the season starts and generally does not change throughout the season with the exception of rain outs, and the potential for make up games. Practices usually start the beginning of May. Games will start the end of May or beginning of June. Again, depending on coach and field availability, practices days/times fluctuate. Once games start, their will be less practices throughout the week. For girls who were 8 years old and younger as of January 1st. The overriding concept for this age bracket is skill development. We start off the program by teaching the girls the fundamentals of softball. We attempt to have a couple inter-squad scrimmages throughout the summer, and may also compete against a neighboring town. 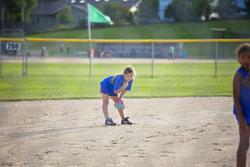 If there are enough girls for more than one team, there will be t-ball style games played. For girls who were 10 years old and younger as of January 1st. This is age bracket is a beginner/intermediate stage. The teams compete within the South Central League. Skill development is still key for this age bracket, and strategies towards winning are introduced. One of the more notable skills that are introduced at this stage is pitching. 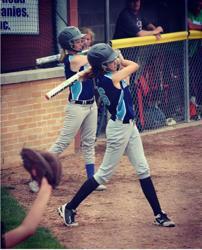 We follow ASA and South Central League guidelines. For girls who were 12 years old and younger as of January 1st. This is our intermediate/advanced program. Girls at this level begin to specialize in specific positions. The girls continue to refine their skills learned within the previous levels, and apply them towards a more competitive atmosphere. 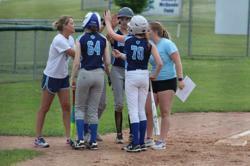 They continue to participate in the South Central League and follow ASA guidelines. For girls who were 14 years old and younger as of January 1st. This is our most advanced stage for the girls before entering the high school level. Competition is at its highest point at this stage. The girls further their skill development as they determine the position where they feel most comfortable. Team chemistry is being forged to serve them in the high school years to come. 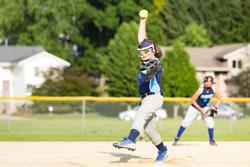 The competition exists in the South Central League and adheres to ASA guidelines.